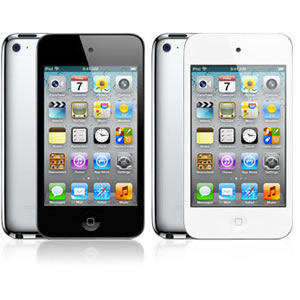 iPod touch (fourth generation) is an accessible portable media player that plays audio and video content. The large multi-touch screen is made accessible to people who are blind or vision impaired by VoiceOver, a gesture-based screen reader that enables you to control iPod touch with simple gestures and describes the item that is under your finger. It also has a white on black option for higher contrast and adjustable brightness. There is a mono audio option for people who are hearing impaired, and support for captioned video. It has two cameras — a front-mounted camera designed to be used for video conferencing in conjunction with Apple’s provided “FaceTime” software. By running various applications, the iPod assitive touch becomes a tool with virtually limitless solution!